People often ask us to describe Caribbean food before they try it for the first time. Basically, it’s a fusion of African, Cajun, Creole, European, Amerindian, Latin American, Indian, and Chinese cuisine. Keep reading as we take a closer look at Caribbean dishes, including those offered at the Caribbia food truck. Ingredients such as rice, plantains, beans, cassava, bell peppers, tomatoes, and sweet potatoes are all staples of Caribbean dishes. In terms of poultry, chefs pretty much go with whatever is available locally, whether it’s beef, poultry, pork, or fish. So what exactly gives Caribbean food such a delicious, unique flavor? We can definitely point to the green herb and oil-based marinade which consists of garlic, onions, celery, green onions, rosemary, and thyme. Keep in mind this seasoning is used for various dishes such as curries, stews, and roasted meats. As is the case with other kinds of cuisine, Caribbean food differs from one country to the next. That’s why we always tell people to try this cuisine wherever they go. There truly is something to appreciate about every flavor in every location. Now that you have some background on Caribbean food, let’s get into the dishes we offer specifically. Take your pick from Jerk chicken, Jerk pork, chicken roti, and stewed oxtails (seriously, they’re delicious). Plus, what better way to celebrate Fridays than with curry shrimp and stewed kingfish? Caribbia also cooks up mouth-watering dishes for our vegetarian and vegan friends. Take the Caribbia Irie Bowl, for example, which features spiced flavored couscous with crunchy cucumbers, sweet corn chickpeas, and red onion toppings. Then there’s the always popular Mango Chow, which consists of sweet and spicy mango chunks with cilantro, lime juice, and calypso pepper. People don’t see Caribbean cuisine as being a major player in the Dallas food scene (at least we don’t think so). Here at Caribbia, we’re hoping to change that narrative! Our chefs, Jay and Jay, have a passion for crafting craveable dishes that are bursting with tangy, sweet, and spicy flavors everyone loves. “How can I tell whether or not Caribbean food is authentic?” This is another question we get quite often. Here’s the thing: Every dish our chefs prepare comes straight out of Grenada and Trinidad and Tobago. Not only does our food truck use the freshest ingredients, but we’ve been preparing Caribbean food for well over a decade. We’re confident that you’ll fall in love with Caribbean food the first time you try it. Whether you want to relive that recent island vacation or you’re just tired of frequenting the same boring lunch spots all the time, there’s always a reason to treat yourself to this one-of-a-kind cuisine. Caribbia is far from the average food truck in Dallas. Not only do we offer satisfying lunch options, but we fulfill catering requests on a regular basis. What better way to spice up a business lunch or wedding rehearsal than with Caribbean food? 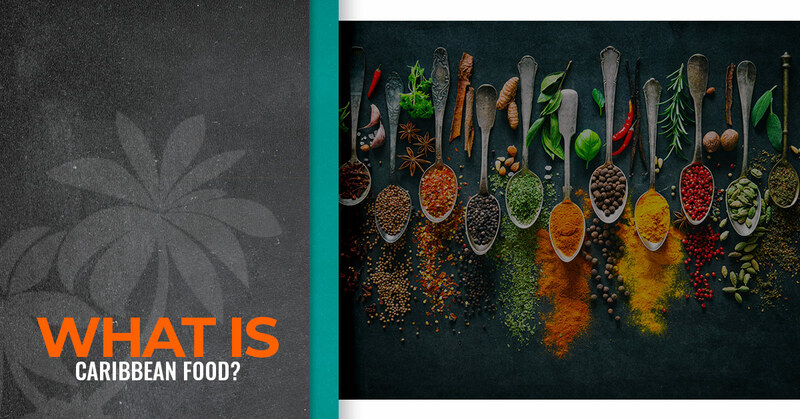 Get in touch with our chefs today to learn more about Caribbia.